posted June 01, 2015 10:03 AM bonus applied by OmegaDestroyer on 09 Mar 2016. Edited by Jiriki9 at 10:01, 12 Aug 2015. Hello everybody. A while ago I asked which kind of creative contests people would like to join in, and the Finding harmony concept got by FAR the most votes. So here I am, opening this. But before I explain how it works, I want to say this contest is dedicated to Daystar, who created the First Finding Harmony Competition, so all credits for the idea go to him as well. Now, how does it work? Each round, you get six creatures and must choose a given number of these and make them work in one faction. They can be varied if possible, so if it only says "Swordman" it need not be a human (nor a man, necessarily!) or if it says Dragon, you can freely choose which kind of dragon. Names can be changed as well, if sensible (for example, if it says "treant" this is also covered if you call the big, walking tree you have "dendroid" or "ent"). You have to fit in enough other creatures (which you can choose completely freely) to form a full lineup (but you can choose of any homm-game's lineup system). You also have to explain the faction a bit to show how it all works together. More details of any kind will increase the scores. Each round, more creatures will have to be added to increase the challenge. Now and then, there will also be other conditions to be met. Note: If you take 2 creatures of the list and turn them into one, it counts as 1.5 creatures used! The factions will be posted in this thread! No one threads like in ICTC! The victor of each round can choose one creature that will definitely be in the list for the next round (or, to be precise, for the round after that, because I will give new tasks before I finish judging). For starting, I will judge the factions, but if anyone wants to do so themselves, pleace hcm me, additional help is always welcome. Players can enter the contest anytime! If there are further questions, feel free to ask here or send me an hcm. So, let us just start this thing. In this round, you will have to take 2 creatures of the following list to make them work in one faction. End of Sunday, 14th June. We will try to start this out quick, if people need more time they can HCM me or ask here for an extension! In this round you will have to take 3 out of the following list and make them work in one faction. Deadline: Sunday, 28th of June. I am really looking forward to this contest and I wish everybody a lot of fun in creating factions here! So do we wait to post the factions at the end of the deadline or whenever we can? Kinda new to this forum, hi! Im in as well . Quick question: do all the creatures have to come from existing homm games or can you cone up with them yourself? Just post them when you are ready. The deadline marks the END of each round, when the factions may not be changed anymore. do all the creatures have to come from existing homm games or can you cone up with them yourself? You can of course add your own creations of cratures to your lineup, as long as you have the given number of creatures from the list, so 2 for this first round. anyway, wahat do you guys think about the deadline...maybe tooo early for this first round, should I make it 2 weeks instead of one?Or is it fine the way it is? End of Sunday, 7th July. We will try to start this out quick, if people need more time they can HCM me or ask here for an extension! Well we have more than a month according to the masterpost! June 14 would be nice! AAAh, I missposted the months, it was planned as a week, but I will go for teh two weeks now.^^ Tahnk you! Edited by leiah2 at 23:20, 09 Jun 2015. ^An old woman and her grandchild arriving at the Clave. Words: For the night is dark and full of terrors. The army of the Clave consists of The Shadowhunters, their allies the Red Priestesses, Former enemies enslaved and Others that seek shelter in their guarded towns. 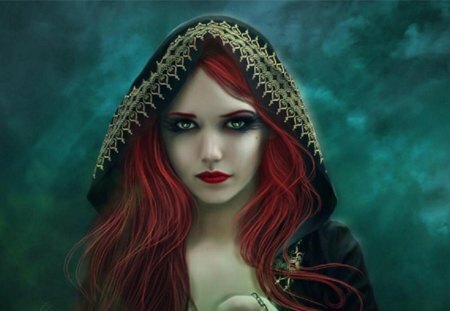 While most of the inhabitants of the Clave prefer white or black style of clothes the religous and Noble prefer rich red clothes. Beautiful half women, half snakes. Can sacrifice creatures to gain various advantages. 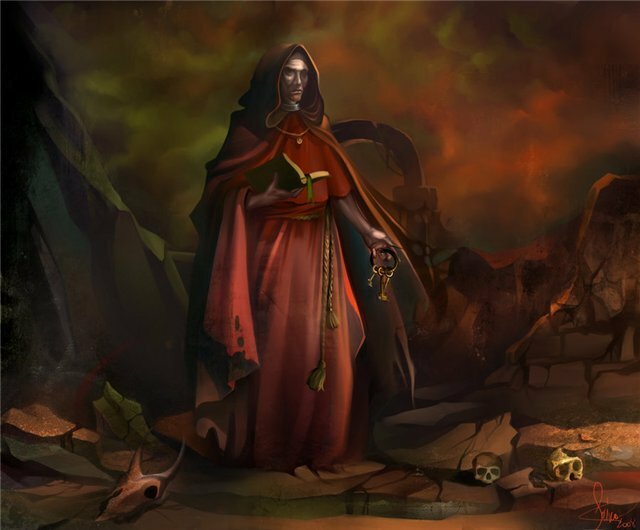 High ranking religious officials inside the Clave, can take control over enemy creatures with their magical powers but hurts them at the start of each round. Channeled ability. Edited by Jiriki9 at 15:13, 04 Jun 2015. Nice startoff. May I ask which creatures you chose? EDIT: also, could you please resize the image not to bash the width of the page? I don't get what's this all about. Can you explain ? Edited by leiah2 at 15:49, 04 Jun 2015. 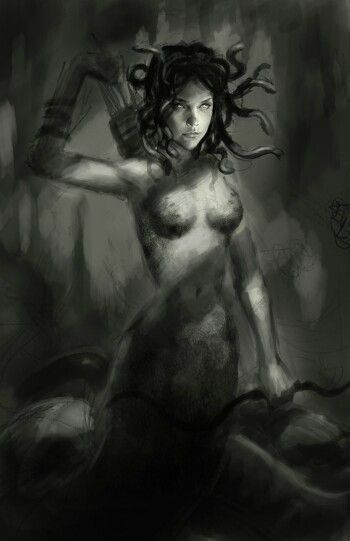 @Jiriki9 My first Idea Was to use the Gorgon and Bowman, we'll see if i stick to the idea . Yeah, sure, I can resize it, but where can i reupload it? EDIT Fixed it Is it better now? Edited by Jiriki9 at 16:48, 04 Jun 2015. I think it is explained in the first post^^ Each round, I give a number of creatures (in this round: Efreet, Pit Fiend, Bowman, Goblin, Gorgon & Orc). You then choose a number of these creatures (in this case: 2 of them) and have about 2 weeks to make a faction that fits them together, filling the lineup with more creatures (any you like!) and any details you wish to add. anyway, the pic is awesome (do we get a townscreen glimps, here?! ) and your faction looks truly interesting! I see you go for 4 tiers?! Edited by leiah2 at 20:00, 04 Jun 2015. @Jiriki9 Sorry bout that xD I will fix it in an hour, I don't have to scroll but my screen is 1920x1080 so . Hehe, it is actually a glimpse of he town/tonscreen indeed! Edited by Steyn at 10:39, 07 Jun 2015. During the time of the war of the blood moon the wizard armies were not as advanced as they are now. Both necromancy and the golems had not yet been discovered. The orcs had just been created as an answer to the demon thread, but experiments with beastmen would not happen before the end of the war. Therefore the army consists of orcs, spirits and magically enhanced soldiers. 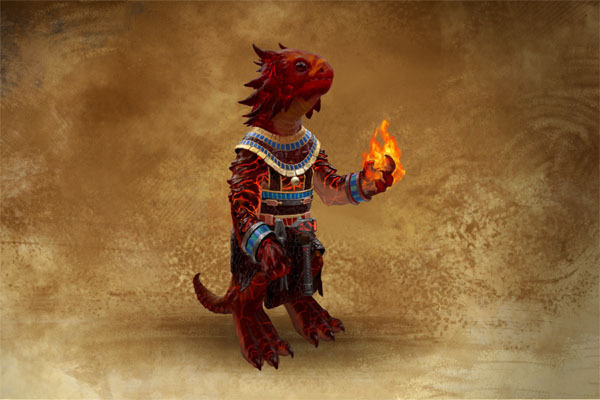 These fire spirits are enslaved by the wizards to work in their magical forges. There they help with the creation of magical weapons, armour and artifacts. 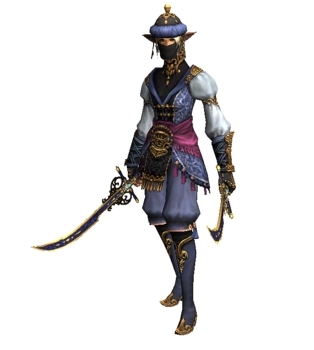 Nevertheless cabiri are also perfectly able to use their hammers to hit some skulls instead of hot iron. Orcs are the new shock troops of the academy. 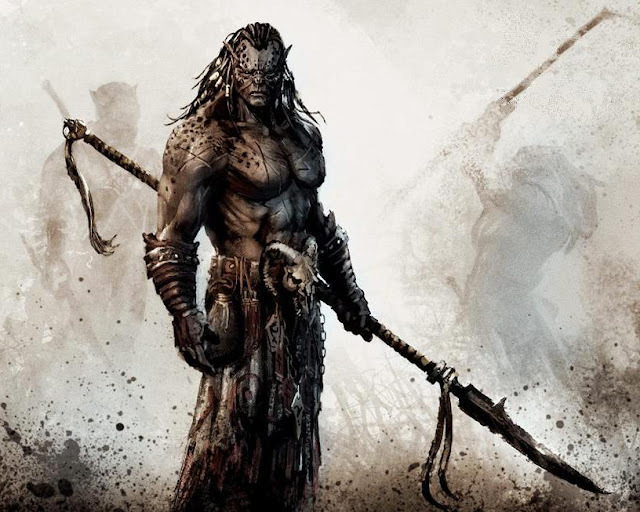 They are ferocious warriors created by infusing human slaves and criminals with demon blood. Apparently there was a lack of volunteers. 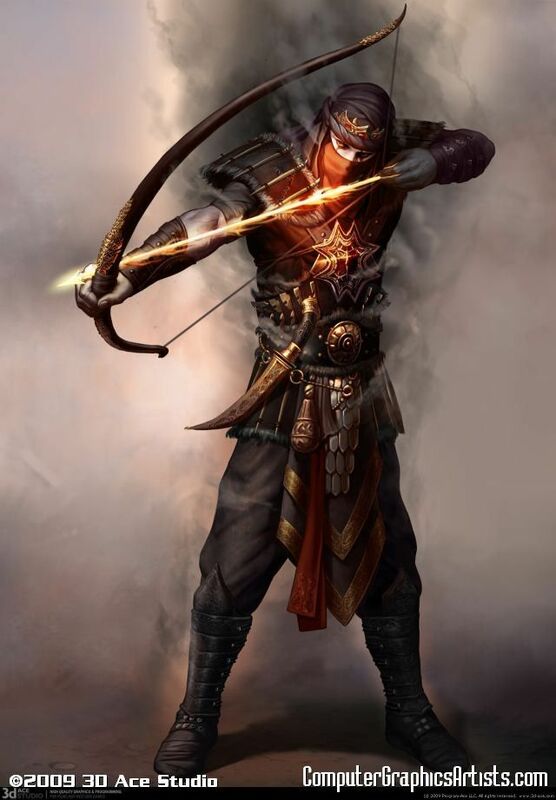 By using a special kind of bow, people with limited magical talents are able to focus their magical powers, enabling them to create magical arrows of power otherwise beyond their capability. These bolts of pure energy are much more lethal than normal arrows. Supercharge: when using the wait command, the next ranged attack will deal an extra 50% damage. This effect is cancelled when the Arcane Archer is engaged in melee combat. The blade mage uses its magical powers to enhance its already formidable fighting skills, giving it speed and reflexes normally unreachable for humans. This allows the blade mage to strike its opponent before he can make his attack. 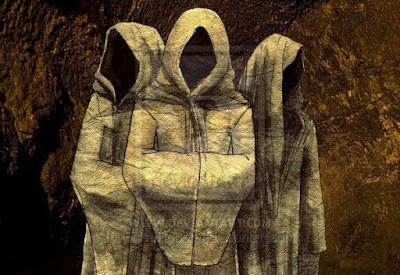 Djinn are spirits from the 7th plane of magic, that was created on the ascension of Sar Elam. 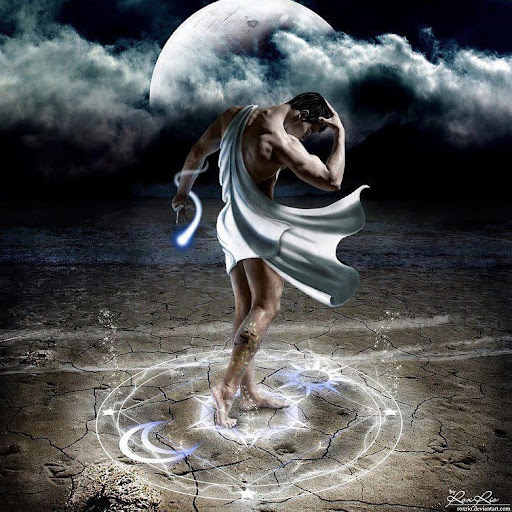 These beings have great knowledge of the workings of magic, which they can employ on the battlefield. Cyclopses are a failed orc experiment. The usage of blood from greater demons such as pit lords resulted in really powerful creatures with an unfortunate equally big temper. Despite their tendency to attack friendly troops they can be trained (using some magical prodding) to hurl boulders at the enemy lines. Just don't stand in front of them. 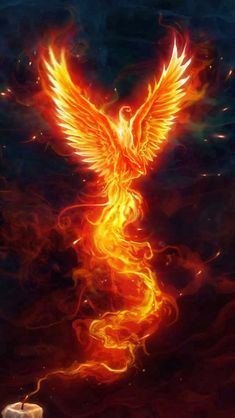 Phoenixes are amongst the greatest of spiritual beings. They contain so much life energy that it simply overflows, feeding the flames in which this bird is covered. In fact, the phoenix contains so much life, that you have to kill it twice. The first time it will simply rise from the ashes again. I'll see if i have some time/inspiration over the weekend. have something in mind. I'll join in... my thesis is done so really need a creative outlet. Also ****ing harmony, it's the best. Sound snice to have you in! I know my faction is a real mess right now, I just got home from a school trip and this is our last week before graduation and spring break so i probaby won't be able to fix so much before the contest is over and give all the lore and backstory I wanted to to but I wish everyone else who enters the contest the best of luck. I'll still try my best!